As a real estate professional, you undoubtedly know that strong demand for the Florida lifestyle (2004 saw the highest percentage of “inbound” moves since 1988) and bargain mortgage rates have helped to push the yearly median price of an existing single-family home in Palm Beach County to above $300,000 for the first time in history!But you may not fully appreciate the effect this fact may have upon you. With the resulting home sales cycle getting shorter, there are an increasing number of people who have owned the same property. This significantly increases the risk of title difficulties, which could cause a potential delay in funds disbursal. process our title searches and all of our commitments in-house and, therefore, average 72-hour turnarounds for all standard legal descriptions. Upon request, we are also able to provide 48-hour turnaround! perform the title search, a comprehensive review of all liens and other encumbrances on the subject property. prepare all required closing documents. act as escrow and disbursing agent to make sure liens are satisfied so your client receives the proceeds from the sale and you receive your commission at closing. 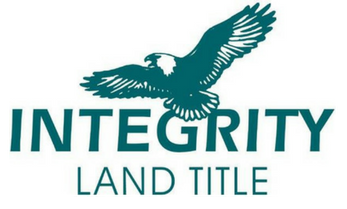 Integrity Land Title is one of Palm Beach County’s recognized title companies. Every week we assist lending professionals to smoothly navigate complex transactions. By showing your clients you care about their future enough to recommend Integrity Land Title, you not only earn their respect, you also ensure your fees by closing more of your sales on time.